Students: we drink too much and sleep too little. If you're not sleep deprived, then you have to ask yourself: am I even a student? We have all had those nights where sleep eludes us, where you toss and turn, then grab your phone to watch pet rescue videos on YouTube (true story from last night). Things such as stress, poor diet and anxiety as well as a few other factors can cause Insomnia, and it is safe to say that most students suffer from at least two out of three of those symptoms. 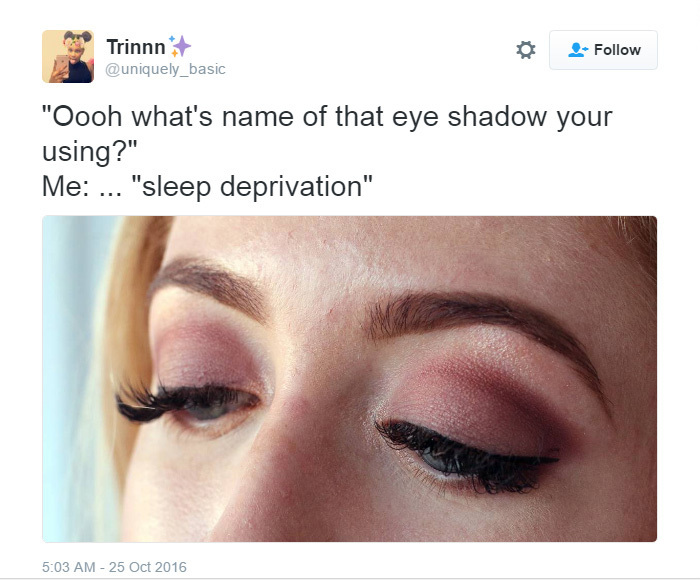 But how sleep deprived are you? Well a researcher from the University of Chicago has developed a simple test to find out. The test is, basically, to see how quickly you fall asleep after closing your eyes at night. The quicker you fall asleep, the more deprived of sleep you are. For the test you only need two things: a metal spoon and a metal tray. When you are in bed, place the metal tray on the floor by the bed, and hold the spoon in your hand over it. Then just before you close your eyes, make a note of the time. When you finally fall asleep, your limp hand will drop the spoon and it will hit the tray with a clang, hopefully waking you up. When you do wake up, immediately check the time, and see how long it took for you to drift off. If it was within five minutes, you are severely deprived; if it was between five and 15 minutes, you are a little deprived; and if it takes any longer than 15, you are OK and not very deprived at all. We have a feeling a lot of you will be falling asleep within five minutes. Although, if you really are sleep deprived then you're not going to want to wake yourself up as soon as you fall asleep, but whatever.